Are you looking to find an architect in Baltimore or the greater Mid-Atlantic region? Do you have questions about how to get started with designing your luxury home? How to find the best architect for your project and budget? 2e Architects has created a helpful collection of resource guidebooks and educational material, including video tutorials and webinars about how to find, hire, and work with architects and contractors; how to plan for the design of your home projects; and how to get what you really want out of your home design. Have you started to dream about the design of your new, custom home and want to know what to do next to start the planning process? If you are looking for a single resource guide with the information about what you need to know, this guidebook is for you. We cover what questions to ask, how does the home design process work, and the all important how to budget for a new home. Imagine being able to see your home long before construction starts. 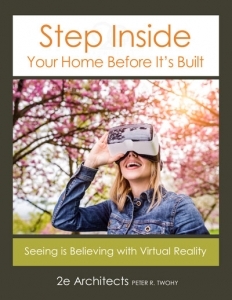 With the power of Virtual Reality you can step inside your home and see every angle. Discover the volume of the space and the flow from room to room. See the finishes and the details and imagine your life in your new home. Have you asked yourself these questions: “how do I find an Architect?” or “how do I find the best architect in Baltimore?” Matching architect and client is key to a successful design project. Learn how to find and select the right architect, what to expect from an architect, and more. Too often we hear stories of people spending a lot of time, money, and effort designing and building a dream home and they don’t get what they envisioned or need. 2e Architects has developed a process that ensures a successful outcome in every home design project. Watch the full video to see how it’s done. Building your dream home requires a strong partnership between your architect and builder with solid communication. One with mutual respect and appreciation for each others craft. This guidebook contains questions to ask to find, interview, and select the best home contractors and builders in the Greater Baltimore Area. We have created a series of videos intended to offer additional knowledge about topics such as finding an architect, working with an architect, and what it is like to work with 2e Architects on your luxury home. (By the way, my son produced many of these videos). How, exactly, does 2e Architects achieve their goal of ecstatic clients, part one? How, exactly, does 2e Architects achieve their goal of ecstatic clients, part two? 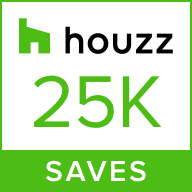 How does 2e Architects protect and maximize the two investments that you make in your home? What makes 2e Architects Different? How Would You Select an Architect? How does 2e Architects deal with ‘Crazy’ Clients? What is the importance of Materials and Details? How do you translate Clients’ ideas into their homes? For many, constructing a new home or substantially renovating an existing one is a once-in-a-lifetime experience. Here are five videos from CRAN (Custom Residential Architect’s Network) about the process. CRAN is a Knowledge Community of the AIA (American Institute of Architects) that develops information to benefit architects and their clients alike. Each of CRAN’s videos is relatively short, very informative and from a trusted source.